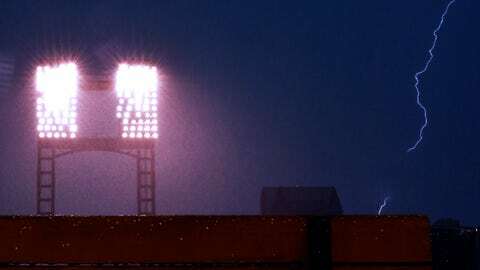 ST. LOUIS – The threat of rain throughout the afternoon and evening has led the St. Louis Cardinals to postpone Thursday’s scheduled home opener. The game — and all the associated festivities — move to Friday. Friday’s schedule will mirror what had been planned for Thursday. The home opener ceremony is set for 2:30 and first pitch is scheduled for 3:15. Busch Stadium gates will open at noon.